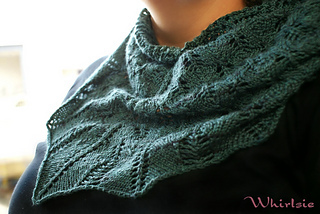 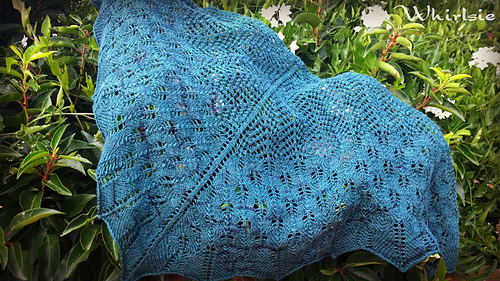 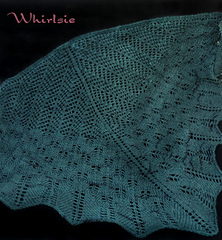 This shawl was designed for the Whirlsie’s Designs/Fibrewebs club in May 2015. 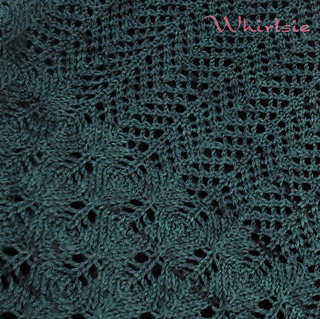 You can find out more about the club here. 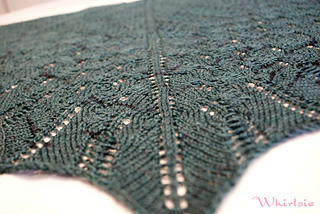 Come and join us in the KAL thread!! 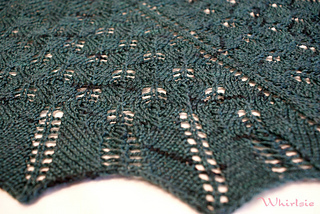 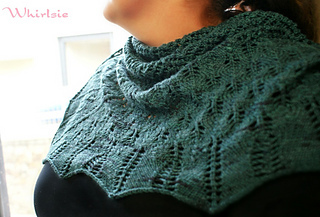 The stunning green of Fibrewebs Silk Merino inspired the name of this shawl. 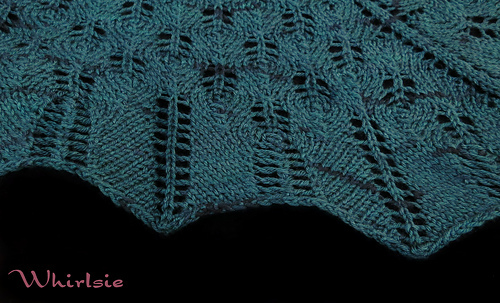 The lace sections of this shawl replicate branches and fir cones, urging you deep into the forest.